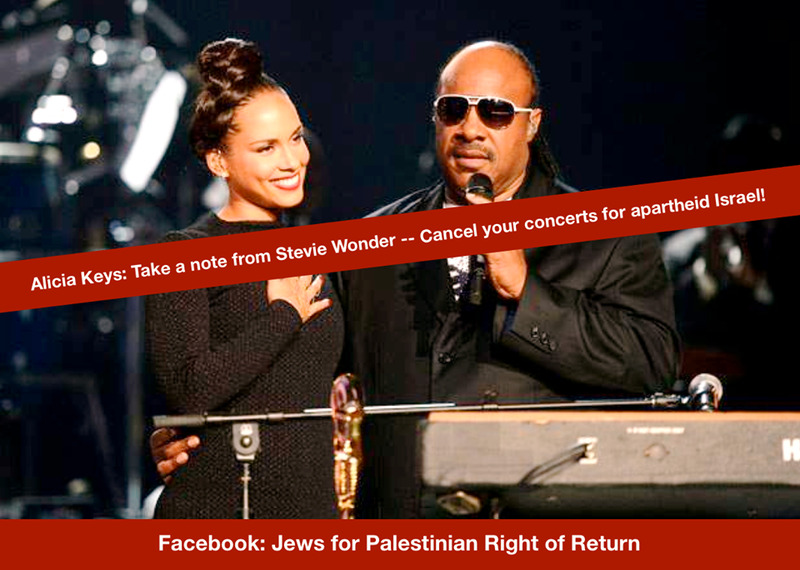 Blog to End the Occupation: Action Alert: Tell Alicia Keys to Cancel her Scheduled Concert! Alicia Keys is scheduled to perform to an audience of 11,000 in Tel Aviv on July 4, 2013. Following calls from Alice Walker, Roger Waters, Boycott from Within and many more, Alicia Keys has expressed that she is still planning to perform. PLEASE TWEET OFTEN. PLEASE SHARE THIS ACTION ALERT WITH YOUR FRIENDS. Also check out our Tumblr for the pictures people submitted for our last Alicia Keys action.